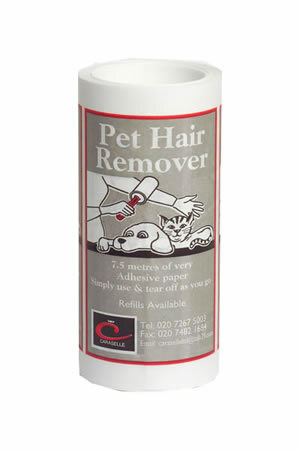 Caraselle Direct – Home Accessories Products Purchase online carpet pet hair remover to remove clothes and carpet. There are many reasons our Pet Hair Roller Brush has become a top selling product, you only need to view the custmer reviews to see what a favourite it really is. So I thought I’d go through in more detail what’s so special about this Lint Roller and how you can make use of it in more areas than you realise! Probably if you own a pet you are most likely aware of the benefits of having a good quality Pet Hair Remover – and one of the main priorities for many people is how quick and easy it is to use… that’s because when people use them it’s often as they are rushing out of the door and only then notice in the light that they are covered in their pet’s hairs! (Actually, many realise they are also covered in their own hairs usually, but don’t have a product such as a lint roller to hand.) This is where the quality of the roller comes in, because if you go with a very cheap one there’s usually no rolling element in the handle at all, which means you do all the hard work! However, if you have a good quality roller the handle will include a spindle which does the rolling for you – it rolls while you hold the handle, and the result is a smooth, quick and very easy rolling action. After quality the next consideration will be how economical they are. Again, the handle is of great importance because if you bought a cheap one you may soon realise that it’s a false economy when you come to the end of the roller. The handle won’t be removable and you have to throw out the complete product and start again. If you get one with a removable handle you can buy refills in future, which saves you a lot of money in the longer term and saves the environment too! 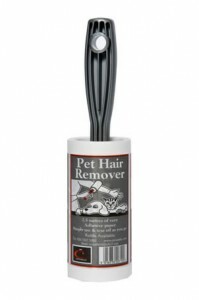 These Pet Hair Remover Sticky Roller Brushes remove lint & pet hair from clothing & upholstery, and are of professional quality – used by Pet Groomers, Vets and more. Because they are manufactured to our specification they have an extremely sturdy and removable handle, with a super easy rolling action. In the very unlikely event that you need a new handle we offer a Free Replacement Handle Service, which means you’ll only ever need to replace the refills. These last for ages because they contain 7.5 metres (approx. 25 ft) of very adhesive paper, but when you do need a refill, we offer amazing multipack discounts of up to 50% off!! * Make it one of the steps you follow when doing your washing/drying. I have certain clothes which are particularly prone to picking up fluff once they have come out of the wash, so I quickly roll over such clothing when dry but before folding… that way they look like new BEFORE I want to wear them! * Most people find it hard to make time to hoover each day – and who wants to? !… but there are many people like myself that have young children and a dog (or equally bad a cat!) who find they do some cleaning one day and by the following day the carpet looks like it hasn’t been cleaned for a week! Obviously with little time to clean again, this is where my Pet Hair Roller really shows its worth… great for use in between hoovering. * It’s great for picking up bits of mud left on the floor when removing shoes and wellies – give the area a quick once over with the roller and you won’t have to deal with it when you return! * As the product movie says, in the car grown ups are even more messy!! Once you’ve had various packages, shopping, a dirty push chair, shoes for walks and so on in the boot it starts to look pretty bad, but a Lint Roller will soon get rid of the debris ready for the next round! They’re also ideal for picking up the debris, dust and hairs from the seats and foot well. Use them on the dashboard and glove box too – you don’t need to restrict it to the handle, wrap some paper around your hand to get to the ‘impossible to get to’ areas. I do exactly this when cleaning my son’s high chair! Keep an eye out for more Lint Roller tips, and don’t forget to tell us yours!